These simple sugar cookies are made without oil and are simply topped with sugar. 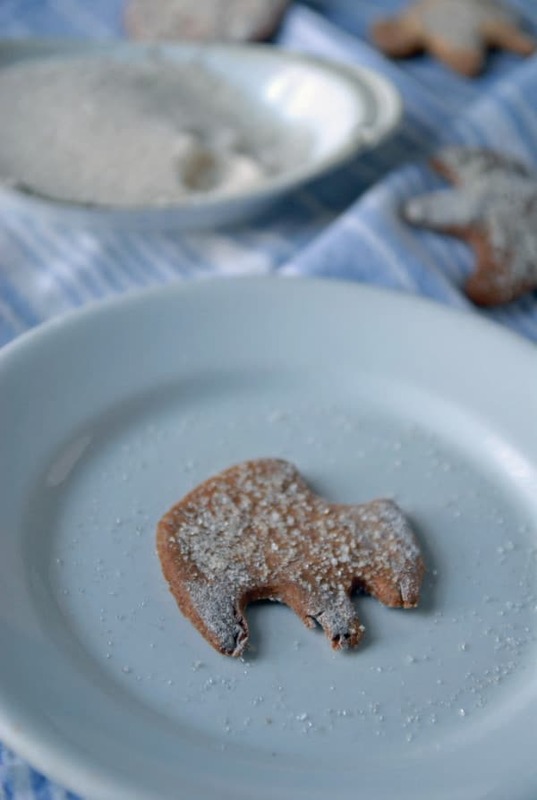 The perfect vegan sugar cookies for holidays and everyday! I’m a super lucky gal. For almost every occasion, birthday, Christmas, anything, my boyfriend tends to know exactly what to get me. This, of course, is anything for the kitchen. He just knows that if he ventures to the kitchen store and picks out a kitchen accouterment I don’t already own, 9 times out of 10 he is going to be spot on with something I’ve been thinking about getting or coveting for a while. What a keeper! One of the gifts he got me for my birthday this year was a few cute cookie cutters. One of my favorites is a ballerina, a throwback to my dancing days a few years back. The only problem with all these cutters had to do with the sugar cookie dough. Last year, I tried to make a vegan sugar cookie dough without all the butter and oil normally called for in a traditional sugar cookie dough. The result was gross, hard, and not something I would like to revisit again, blegh. I started having a fear that I would never be able to make simple sugar cookies at home without buying an industrial size tub of vegan butter. Say it ain’t so! I found the magic ingredient to replace the usual ton of butter, cashew cream! My love for cashew cream only recently came to a height, as the concept kind of creeped me out at first. Nuts? Blended into a sweet cream? That can’t even be possible can it? Bam, yes it can! Mixing pre-prepared cashew cream into sugar cookie dough makes everything dreamy and lovely. My favorite part about this vegan sugar cookie dough is that it is really easy to pull out the amount you want, roll out a few cookies and have them at the ready. 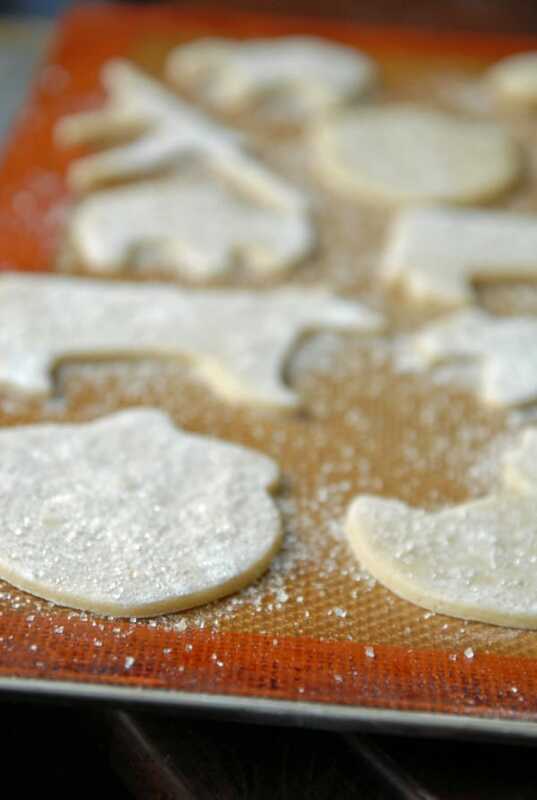 In years past, it seemed like every time I made cutout cookies with my dad we were rolling and cutting endless amounts of cookies until the end of time, which made me not want to look at another cookie for at least three days. Not here! Roll em’ out when you need them, stick the dough in the fridge when you don’t. By the way, I am kind of skipping right to Christmas with these sugar cookies. I do love Thanksgiving, but traditionally, my family eats our main meal out rather than cooking (gasp! I know!). It is a nice time to not stress out about cooking for a group and just enjoy the time together, so forgive me if I don’t have many turkey day recipes for you! 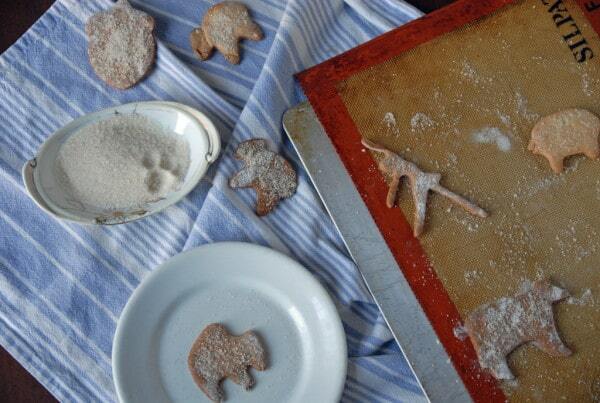 Eat a few of these sugar cookies without butter and all will be forgiven. PS. 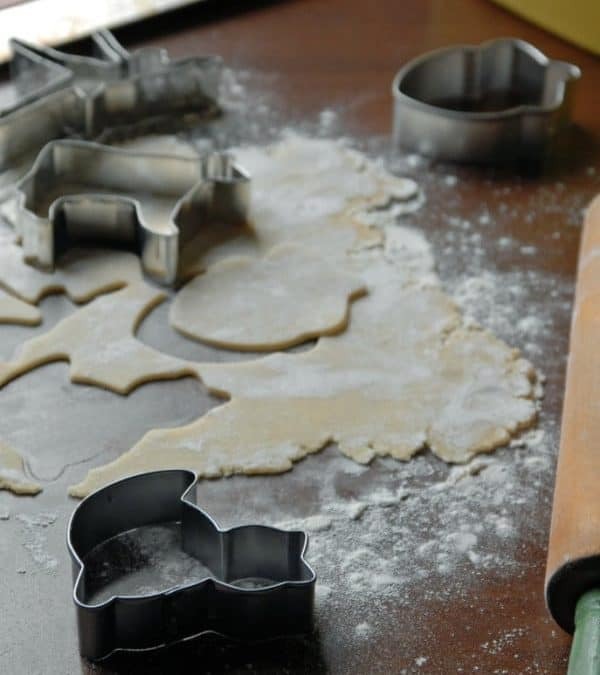 How awesome is that multi-sided cookie cutter up there? My darling grandmother gave it to me for Christmas last year and I’ve been in love ever since. The shapes are mainly animal looking things, but I love it! This recipe also came from my other grandmother, so all kinds of love is in these cookies. To make the cashew cream: Soak the cashews in the 4 cups of water for at least 4 hours or overnight. Drain the cashews from the water. Place the soaked cashews in the bowl of a food processor fitted with the blade attachment, along with the vanilla, maple syrup or agave nectar and 1/2 cup of water. Process until smooth (this could take up to 3-5 minutes, just keep going!). You may have to stop the processor a few times in the process to scrape down the sides during the blending. Once the cashews are smooth, transfer to a small bowl and set aside. 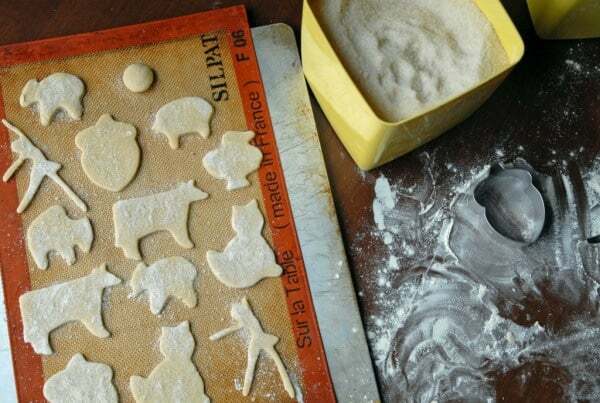 For the sugar cookies: Preheat the oven to 350ºF. Grease 2 cookie sheets or line with Silpat or parchment paper. Set aside. In the bowl of a stand or hand mixer, mix together 1 cup of cashew cream, granulated sugar, and powdered sugar until blended. While the mixer is still beating on low to medium, add in the vanilla, apple cider vinegar, cream of tartar, salt, and baking soda. Add in the all purpose flour, mixing until dough is blended throughout. 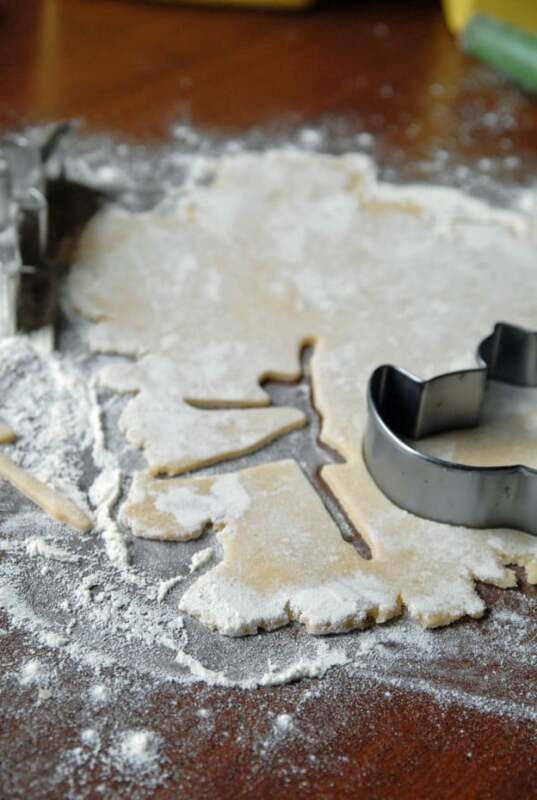 To shape the cookies, either roll out the dough only a well floured surface and cut out into desired shapes or roll into 1 1/2-inch round balls. Dip or sprinkle the cookies with extra granulated sugar. Bake for 8-10 minutes, watching them closely to ensure they don’t burn. The cashew cream can be made up to 5 days or a week in advance. Just make the cream and store in the refrigerator until ready to make the sugar cookie dough. I also have problems making vegan sugar cookies. Every time they are flavorless and a pain to roll out and cut. I can’t wait to give these a try! 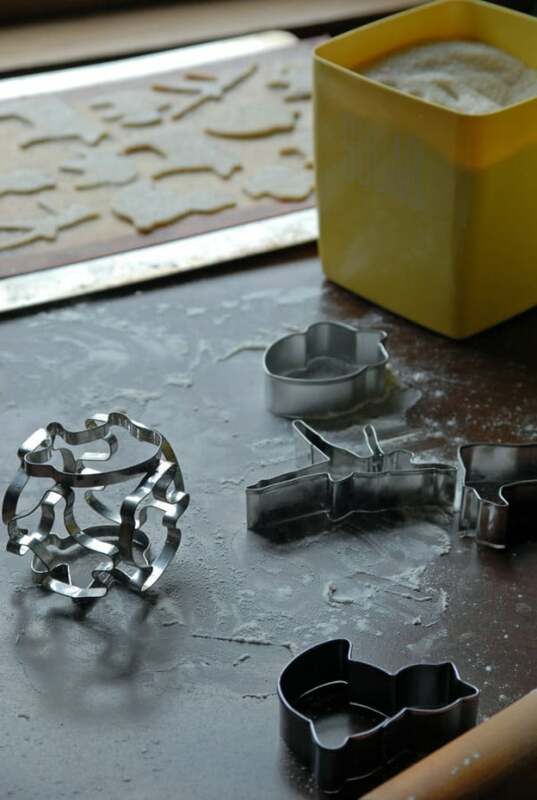 PS: Those cookie cutters are awesome! Thank you! I’m glad I wasn’t the only one with that problem! Um, these are not OIL FREE with all the nuts in it. There is no added oil.